Rishikesh is known as the paradise of north India. Located in the beautiful state of Uttarakhand, and on the banks of the river Ganges, the picturesque destination is quite popular among tourists in India and abroad. Rishikesh is a peaceful city and is a holy place which is considered as one of the sacred prayer destinations by Shiva devotees. Rishikesh has lots of Shiva temples, which can be found around the city. India is also the world cradle of yoga and meditation. Find a yoga teacher and what better place to study this practice than where it was discovered. Rishikesh is the world capital of yoga and where possibly the largest number of ashrams in the world is concentrated (places for the practice of yoga and meditation). At the foot of the Himalayas and on the banks of the source of the Ganges, you will witness the source where, centuries ago, the wisdom of the great masters and gurus began to sprout. You can visit different yoga schools and yoga centers to deepen the practice of styles such as Hatha, Asthanga, Iyengar, Sivananda or for a yoga teacher training course. Lakshman Jhula in Rishikesh is a popular landmark located 5 km from the city. The suspension bridge connects Tapovan village on the west bank to Jonk on the east bank of the Ganges. The bridge was inaugurated in 1939 by H.E. Sir Malcolm Haley C.C.I.E. K.C.S.I. Governor of the United Provinces, British India. The construction period was from 1927 to 1929 after the old bridge was demolished by the 1924 floods. However, the bridge was opened for traffic in 1939. Since then, Lakshman Jhula has always been open for public and tourists. 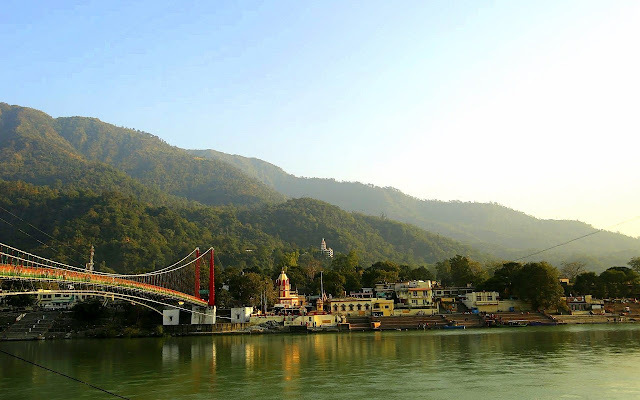 Triveni Ghat is the biggest and most famous ghat in Rishikesh on the banks of the Ganges. The ghat is fully occupied by tourists from all over the world, especially Hindus who believe that their sins will wash-off if they have a dip in the Ganges. Yes, Ganges is considered to be the holiest river in Hindu Mythology, wherein it is so pure that it has the potential to clear all the sins (paap) committed with just a dip. These dips are often ritual baths that last long during which a set of prayers must be chanted along with specific body postures. As for a tourist, Triveni Ghat is a cultural spot to observe different types of people praying for their selfish as well as selfless needs. Triveni Ghat is a must-visit and whilst you are at the ghat, you might want to opt for the ritual bath as well. Ram Jhula is a suspension bridge over the Ganges. It is located on the outskirts of Rishikesh offering various activities like river rafting and fishing. Whenever you are on a vacation in Rishikesh, Ram Jhula is a spot not to miss. The lush Himalayas, peaceful serene and the melody of water flowing reminds us that paradise does exist and it exists on the earth. The sports activities at Ram Jhula are quite popular among the tourists as well as locals. The adventure of rafting through the Ganges with a force impeccable making us realize the value of every breath. The thrill and adrenaline give us clarity about our purpose in life. An experience worth risking a pair of wet clothes in the cool river water. Parmarth Niketan Ashram is an ashram located on the riverfront on the banks of the Ganges that allows people to lodge and relax the body, mind and soul with the assistance of the art of meditation and spirituality. The ashram was founded in 1942 by Late Pujya Swami Shukdevanandji Maharaj. Parmarth Niketan Ashram is the biggest ashram in Rishikesh with over 1000 rooms that provides a neat and tidy atmosphere to thousands of people across the globe who wish to practice yoga for meditation and spirituality. The daily activities at this ashram include morning prayers, meditation, satsangs and kirtans, and a beautiful Ganga aarti at the time of the sunset. Chaurasi Kutia is an ashram in the holy city of Rishikesh. The significance of this ashram is that the popular English rock band, The Beatles, stayed at this ashram during their visit in India. Hence, Chaurasi Kutia is also known as Beatles Ashram. The ashram is located on the east bank of the Ganges and in the foothills of Himalayas. This ashram grew popular because of The Beatles' stay. A lot of places in this ashram can be spotted which are dedicated to The Beatles like graphics on the walls and graffiti art. The Beatles Ashram or Chaurasi Kutia is famous for another reason today. The ashram was founded by Maharishi Mahesh Yogi who devised the Transcendental Meditation Technique (TM) which is the most practiced form of meditation. Thus, Chaurasi Kutia is the glacier of Transcendental Meditation. Trayambakeshwar Mandir is a temple in Rishikesh dedicated to Lord Shiva. Trayambakeshwar Mandir is located on the banks of the Ganges near Lakshman Jhula. It is a 13-story Hindu temple which is a place of one of the twelve Jyotirlingas. A beautiful monument designed with sheer piety and wholehearted love for the locals and tourists. The temple is open on all the days of the week for the common public. It is one of the religious places that is believed to have sustained through all the thick and thin. A place of serenity that cleanses the aura and infiltrates the mind with positivity and love. The area is ideal for hiking. Rishikesh is a holy city in the state of Uttarakhand. The food options are unlimited as it caters to thousands of tourists throughout the year. As we Indians, consider sweets as an offering to God, there are ample of sweet shops located around the city. These shops prepare sweets using pure ghee. The sweets are delicious and leave a craving for more. Along with sweets, Rishikesh adobes several restaurants that serve hygienic food with impeccable taste. The popular savory dishes throughout Rishikesh are samosa, aloo puri, chole bhatura, pani puri and kachori. There are numerous cafes around the city that serve quick bites with an excellent cup of tea or coffee. Rishikesh is located 372 m above sea-level in the foothills of the Himalayas. There are no direct transportation services other than buses. By Air: The nearest airport is Jolly Grant Airport, Dehradun which is located at an approximated distance of 35 km from Rishikesh. From Dehradun, bus and taxi services to Rishikesh are available. By Bus: Being a tourist destination, bus services from major nearby cities like from New Delhi, Haridwar, Varanasi and Dehradun are available. The frequency is high during the peak season i.e. April, May and June. By Rail: The nearest railway station is Haridwar which is located at 25 km (approx). Tour buses and State Transport buses can be boarded to reach Rishikesh. Rental cab services are also available. Rishikesh has very few hotels. However, hostels can be found in abundance. Hostels/ashrams are relatively cheap and offer similar facilities like hotels. It is recommended to pre-book during the peak season. EZ Life offers a varied range of travel utilities that make your journey safe and sound. This was a short insight into the things to expect from Rishikesh. If you don't get what you have read here, don't be disappointed, you shall have your own experiences and memories to cherish. I want to travel all over the world and love reading these posts of places I wouldn't have otherwise known about. I have been to India but not visited Rishikesh. 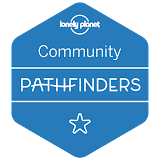 What a lovely post on Rishikesh and what to do and how to go about, including accomodation and food trip. Very informative post. 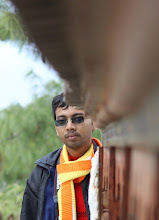 Thank you so much for sharing about Rishikesh. I have always wanted to visit India. Even more now reading your post! I hadn't heard or Rishikesh before but it definitely sounds like a lovely and peaceful place to visit. I had planned a 3 month trip to Rishikesh but had to cancel due to my children being born haha! I so wish to go one day, thank you for reminding me of all the beauty that I need to see! I've never heard of this place. Another great place I have to check out. Amazing! is it wrong that i hame bucket list based on the food? foodie gotta eat! These sound like some amazing things to do! I would love to go on this trip. So many things to love about India! It's really beautiful out there. Truly a bucket list material. Visiting Rishikesh is never enough. I will want to be there again and again delving deep in spiritual aura of this heavenly place. I've never heard of this place but it looks beautiful! I feel like once I finally make it to India, I'd have to spend a year just to see all of the things I want to see. These are such a great idea! So many options! Such a beautiful place to visit!! You definitely need a 7 day trip because it’s so many beautiful things to experience. I am all about the food, I love being around culture. Thank you so much for sharing some trivia about these places like Rishikesh. This is really informative and interesting. Sounds like a really lovely place to visit someday.